Wellington: Virat Kohli bowed out of the New Zealand tour with India in an unbeatable position after a dominant seven-wicket win in the third One-day International in Mount Maunganui on Monday. 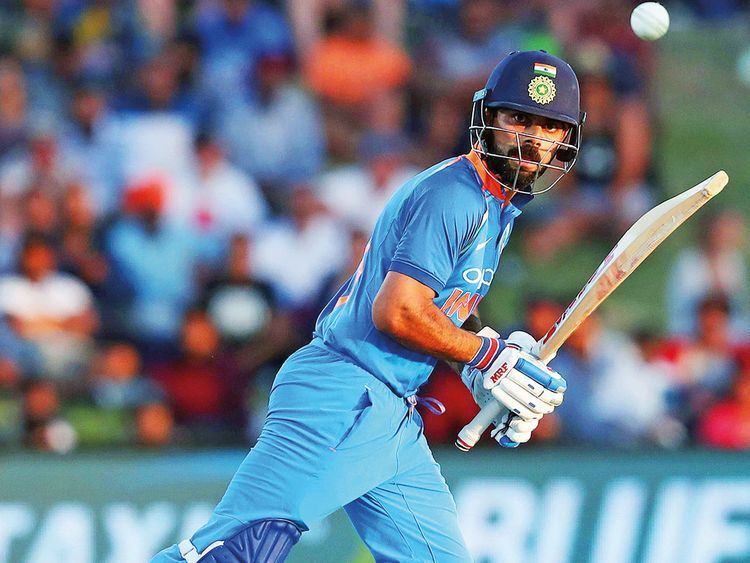 It put India 3-0 up and world Player of the Year Kohli said with the series wrapped up early it was time for him to step aside for the remaining two matches and the following Twenty20 series. “I couldn’t have asked for a better performance after the first two clinical performances and just the relentlessness of the side is something that really pleases me,” he said after India easily chased down New Zealand’s 243 with seven overs to spare. Kohli’s 60 off 74 deliveries and a 113-run partnership with Rohit Sharma formed the backbone of India’s run chase. “They are teaching us a lesson and we’re required to rise to the challenge,” New Zealand captain Kane Williamson said. Ish Sodhi proved expensive but Mitchell Santner was tight and finished with one for 45 after he cleverly deceived Sharma in the air and the India opener was stumped. Mohammad Shami had earlier taken three for 41 while Bhuvneshwar Kumar, Hardik Pandya and Yuzvendra Chahal took two wickets apiece as India shared around the bowling honours in the New Zealand innings.